View More In Compact Refrigerators - Page 3. 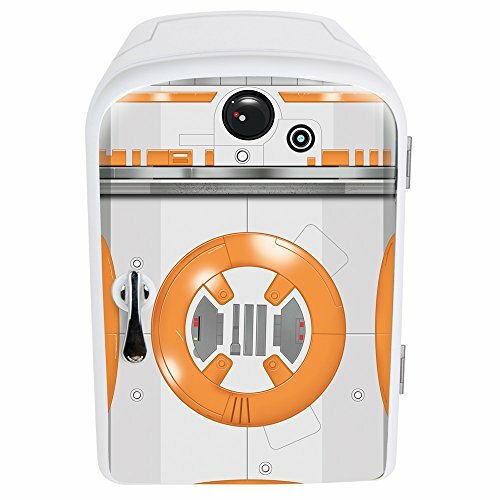 This official star wars licensed bb8 mini fridge. The 4 liter mini fridge holds up to six cans of beverage. Each style of fridge has a hot and cold function and a carry handle. Function *contents 1x bb8 cooler, x1 mains power lead, x1 car 12v lead - powered by ac 110v or dc 12v electric supply. If you have any questions about this product by Star Wars, contact us by completing and submitting the form below. If you are looking for a specif part number, please include it with your message.